Big thank you to our guest blogger, Gary Kirstein, Supply Chain Division Practice Manager at Aktion. He was kind enough to share his wealth of knowledge (40 years worth!) and provide insight and top picks into popular third-party solutions to extend Infor ERP. You’ve invested time, money, and resources in your existing Infor ERP. It works great, but you need to modernize your business. A proven third-party application can make all the difference. Is your ERP at its Current Release? The first and most important thing for anyone looking to get more functionality out of their current Infor ERP is to update to its current release. The functionality you’ve been looking to add may be included in it. 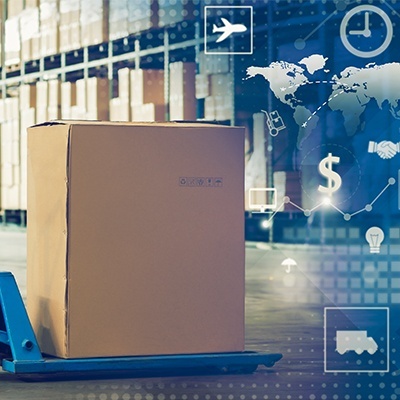 Shipping solution, business intelligence (BI), customer relationship management (CRM), and document management, are a few of the third-party products that can add the functionality your business is missing. Shipping Solution: Integrates multiple shipping types to find the best available by carrier. BI: Business-critical data available in real-time Dashboard or Report Views – i.e. Sales, Purchasing, Inventory and Financial Data. Document Management: Electronic storage/management of documents. These include system generated documents or reports and/or scanned external documents/reports. CRM: Maintain relationships with customers, prospects, sales representative, and management teams. Integrate with your back office solution for a complete collaboration environment. If an ERP installation falls into one of three situations, an ERP upgrade should be considered. Doesn’t Meet Your Needs Anymore – If upgrading your legacy ERP to its latest release doesn’t give you the functionality you desire and if you have to add multiple third-party applications, then a replacement effort should be considered. I Want to Move to the Cloud – If you’ve been considering an off-prem ERP solution then you’ll want to investigate the many benefits of implementing a Cloud-based solution. Mobility – Adding third-party applications may help with both responsiveness and mobility but, it will never be a true web-enabled ERP solution. Aktion Associates has been serving our Infor Distribution ERP customer base for over 20 years, with a level of skill and dedication that has seen us grow to become Infor’s largest North American Channel Partner for Distribution. As we have directed that same commitment into developing and maintaining our Cloud and Managed Services offerings, the trust that our customers have in our quality of service has led many of them to choose Aktion to provide the added infrastructure stability and reliability. They have built a reputation for offering leading-edge technology solutions, industry specific software and application consulting to businesses of every size. Our emphasis on Distribution, Manufacturing and Construction verticals allows us to be focused on the business processes most important to our customers. This approach has rewarded Aktion with more than 4,500 customers nationally who view Aktion as a trusted technology advisor. We view our role as IT architects who partner with our customers to create a comprehensive technical roadmap that supports growth and profitability. Aktion Associates employs more than 160 full-time IT professionals including software engineers, application specialists, networking engineers, consultants, industry specialists and support staff. For nearly 40 years, Gary has delivered IT consulting to Wholesale Distributors and serves as an IT advisor to several large Distribution firms. Prior to joining Aktion, Gary was the Founder and President of Softcare Computer Consulting Company in Pennsylvania.